We have been supporting employers to recruit and retain dedicated and loyal staff for 20 years. We see the benefit of working together. Stepping Stones NI have helped us recruit and retain talented and dedicated staff. We are proud to support diversity in the workplace. Every day we support people who face barriers to employment to secure jobs and work placements. We work with employers across a variety of sectors to make this happen. 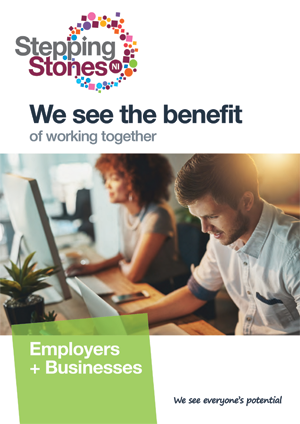 We see the value in working closely with employers to create opportunities for people with Autism, ADHD, Dyslexia, learning difficulties and learning disabilities. Our Job Coaches and Employment Officers successfully support people with a range of difficulties and needs to find a job they love and to stay in that job. As an employer, we know that your goal is to find the best talent and retain that talent. We also know that when people who face barriers to employment are fully supported they can secure a job and flourish in their role which the employer benefits from. We will work closely with you to help you find and retain talented and dedicated employees. Our employers tell us that this support makes a big difference. They tell us that applicants are better prepared and more confident which is beneficial for recruitment. We will work with you to advise on specific issues or difficulties that an applicant may have and support you to make reasonable adjustments to create a supportive working environment. Talk to us today about how we can work with you to support diversity in the workplace. All of our clients receive personalised support to find employment and continued support while in employment. Our Employment Officers also work closely with each employer to ensure that the employee settles in and is supported to reach their full potential. We ‘check in’ with every employee when they have started their new role and will follow on with ‘keep in touch days’ to ensure they are settled in their new role. Our clients tell us that this support is invaluable to them. There are many benefits of partnering with Stepping Stones NI to recruit staff, here are just some of them…. Our employers tell us that our recruits are reliable, dependable and committed to their work. They also find that they take less time off. Our recruits take immense pride and passion in their work. They also demonstrate great precision and attention to detail. Employers report that they benefit from our team supporting recruits to complete job applications, prepare for interview and crucial on the job support. We will work closely with you to find and retain talented and dedicated staff. Our goal is to support people who experience barriers to employment to get a job and stay in that job. We know that with the right support the employee and the employer benefit. 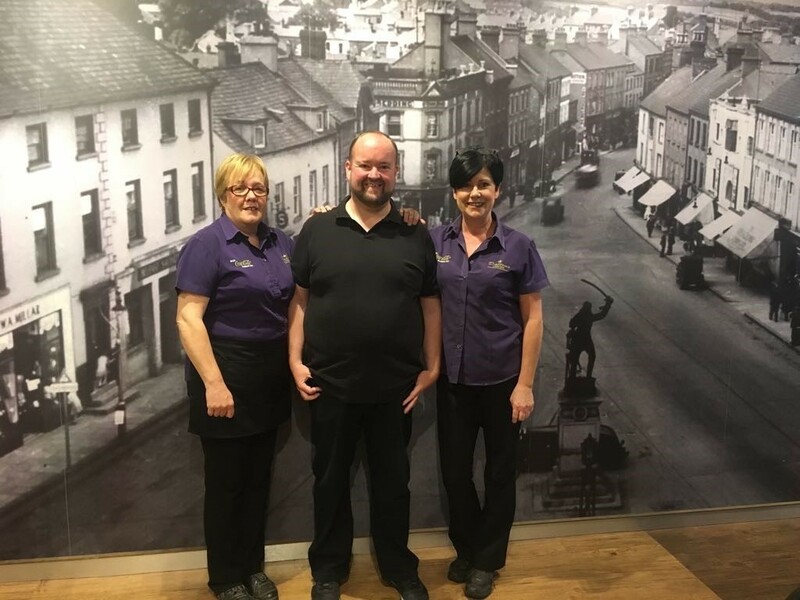 Daltons in Lisburn have been working with Stepping Stones NI for several years to recruit staff. Manager, Anne Jamieson, talks about her experience of working with us and the employees she has taken on. “Hi, I’m Anne, Manager of Daltons in Lisburn. The sandwich bar is located on Market Square and is very busy serving customers for sit in and take out. We have a great team and have employed several people brought to us by Stepping Stones NI over the years. We are delighted with the employees that have come to us. Stepping Stones NI support staff have been a great support to us. They have helped us find loyal and talented employees. We are proud to support diversity in the workplace and have had an extremely positive experience of working with the team there.